Little Mrs. Married: Nothing wrong with New Year's Resolutions! Nothing wrong with New Year's Resolutions! A New Year resolution is a commitment that an individual makes to a personal goal, project, or the reforming of a habit. This lifestyle change is generally interpreted as advantageous. A New Year's resolution is generally a goal someone sets out to accomplish in the coming year. There are religious parallels to this secular tradition. During Judaism's New Year, Rosh Hashanah, though the High Holidays and culminating in Yom Kippur (the Day of Atonement), one is to reflect upon one's wrongdoings over the year and both seek and offer forgiveness. People may act similarly during the Christian fasting period of Lent, though the motive behind this holiday is more of sacrifice than of responsibility. The concept, regardless of creed, is to reflect upon self-improvement annually. I am a HUGE new year's resolution fan. I know i am in the minority...all but one of the blogs i read started their recent new year's posts by saying, "I never make new year's resolutions, but..." or "I am not a resolution maker" or "new year's resolutions are so cliche..." blah blah blah. I told Brad today that there are two types of non-resolution makers. Those who never make them because they are very motivated people who already make resolutions/goals throughout the year...and those who never make them because they believe there is no point, you're not going to keep them anyway. But if you are just never setting goals & always saying (about the new year kind anyway), "What's the point? Nobody ever keeps new year's resolutions. They never work!" Well, why don't you set a realistic goal & focus on it a bit! You might do better than you think! Like Brad said this morning (after i told him so many people think setting new year's resolutions is setting yourself up to fail), "the reason you failed is not because of your resolution. It's because of you." Maybe you set something too big or too ridiculous or something you would never ever do in a million years! Well, duh. Of course you won't succeed. But set something realistic that you really want to do? You can do it. =) And if you don't, maybe the time just wasn't right. Maybe it wasn't the year for that & maybe you didn't realize it. It's okay. Recent research shows that while 52% of participants in a resolution study were confident of success with their goals, only 12% actually achieved their goals. A separate study in 2007 by Richard Wisemen from the University of Bristol showed that 78% of those who set New Year resolutions fail, and those who succeed have 5 traits in common. Men achieved their goal 22% more often when they engaged in goal setting (a system where small measurable goals are being set; such as, a pound a week, instead of saying "lose weight"), while women succeeded 10% more when they made their goals public and got support from their friends. Okay, given he facts above, i see why people are so pessimistic about the success of making New Year's Resolutions. But i just don't see how setting goal's for a new year can be anything but good. Take a chance! I didn't do this last year. I started out well & then dropped it. At some point this fall, Laura asked me how it was going & i told her it wasn't. She helped me by offering to read the Bible "with" me. We'd read the same passages & email each other about what we read. That was awesome & got me back into my Bible reading groove! We read 2 Corinthians together & then Galatians & then Acts. =) I really appreciated her being a friend by not only encouraging me but actually helping me! Even though i didn't read through the entire Bible in a year, i still read much more than in 2009! One can hardly consider that a failure. Get thru my HTML book. Ha. This SO did not happen. And i'm okay with that. It's on my shelf & maybe one day i'll decide i wanna read it. I'm not going to make it a priority though. Overall, i did pretty well with this one. This fall was not good. At all. I am speaking of October, November & December. It's all fallen by the wayside. While i was mad at myself, because i was GOOD during the 2009 holidays, i am still thankful that i did well from January - September. I kept picking myself back up & focusing again. This may be something i have to work at forever, but i know that it is SO worth it. In June of 2010, i reached 23 pounds lost & even though it took a whole year, i was proud that i changed SO many eating habits. 2011 will definitely continue my resolution to be more healthy! So there ya have it. 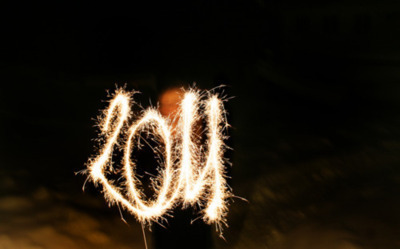 Stay tuned: 2011 Resolution post coming right up! Amen! It drives me nuts when people mock me for making resolutions because I feel like they think they are better than me or higher than a silly tradition. I think it's fun AND a good way to set goals for yourself (and then be able to look at the year in review). Good post! I don't make resolutions because I have none to make on Jan 1. :) People spend all December thinking up their resolutions and say "I'll start Jan 1." I say why not start the day you thought of it. Of course Bible in a year is a good one to start on Jan 1. The gym was crazy crowded today. Lots of faces I've never seen before. It will last about two to four weeks as always and then it will be back to the normal people again. It's just how it goes. First pics with the Canon!